I am from the family of workers. My father was a trolleybus’ conductor, mama was working in the factory of com flakes’ production and my older brother. Simply normal Soviet family. We were living at Sovietskaya street. Can you imagine that the Soviet Union is for a long time collapsed, but the name of the street is the same and my parents are continuing to live at the same place. I started to swim not in the pool, but in river Sozh, which runs through my native city of Gomel. The river is very beautiful, surrounding by many lakes and of course beaches, where we were going with parents to tan and to bath in the Summer. We, children, were always splash near river’s bank and so I learned to float in the water. When I was young girl of 8 years, my future first coach went to our school – Vera Lavrova, who was selecting children for her swimming group. I was among selected children. After that, one time, then three times a week I went with my friends to swimming pool. But, I also was rather strong in athletics and even one time I was first at jumping. As to swimming, there were many experts in the city, who considered me not very talented, and my coach always struggled for me. As to me, I won first at city’s meet, then I was first at the swim competitions between many cities and finally I became a winner of junior Belorussian Republic’s championships. 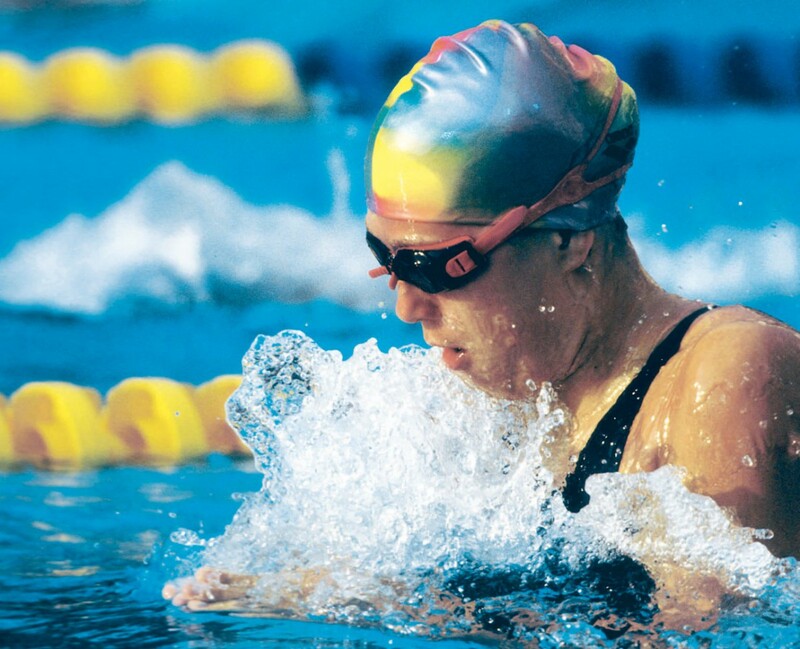 Once upon a time during swim tournament of Gomel, I was 12-years-old young girl, I was battling at the same event with a local swim star Olga Korshikova and I won. It was a real bomb and sensation for everybody! All people started to run, to ask each other about me, and Olga’s coach Leonid Kaufman, the most famous swim expert in the city, told to my parents, being in the pool’s tribune, unbelievable words: “Your daughter is a big talent and she will be Sports’ Master.” It was a real brain’s explosion! He so nicely imaged all my swim perspectives, but after the first training, I stared to complain: I do not want it, give me back, please… My parents were strong: “It is nothing, you must suffer!” I were suffering, I won the junior championships of Soviet Union in 1987 and next year I became the second in Europe. This silver junior medal lend my wings, I believed in my forces to be a big sportswoman. In spite of my resolution, this Olympic season started not so good for me. Five times before USSR Spring championships, I was sick. All that time I forced to pass many training sessions. And voila the final selection to Olympic Games. I loosed at 100 m breast and my favourite distance was a complete flop. It was a question regarding my participation at Games. In spite of the fact that I was not qualified for Olympiad, Krasikov pushed me in National swim roster in Barcelona, but not him-self. I go there without my personal coach. He was present in the pool, but only like a simple tourist. In Barcelona I was really as a sleepwalker, there was nobody to check my training time in the pool, any person to help me. I was out of the life. In my brain only one idea to be in the final race after prelims in order not to be severely criticize! After qualifications at 200 m I was 4th and my mind became better. That was way next day after nice sleeping I swam 100 m with brave shape. After the prelims, I am the first, and everything was clear for all people in the pool, I must win in the final race. I was very stupid from my side, but all day long I did not eat nothing, only orange juice in the morning and 3 tomato juices before Olympic final race, it was all my fuel. 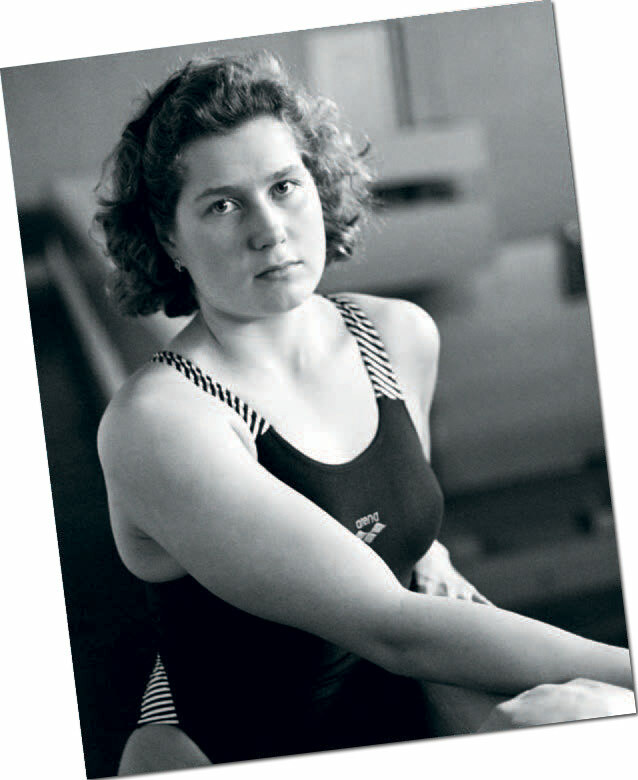 Hot weather in the pool, I was swinging near a starting block, my coach with his colleague Genadiy Turetsky were in the tribune, waving my by beer bottles, and all TV cameras were focusing the main favourite of the race, American Anita Noll. Suddenly I became very fury of my coach and this American girl. I was ready to tear all people to shreds!